Koochi isn’t a brand I was too familiar with but have recently been introduced to them as sister company to Cosatto, a brand I do know and love having used a travel system, car seat and highchair from them. Koochi is designed to appeal to a slightly different market, the products have a lower price point but all still come with that fantastic four year guarantee that Cosatto is so famous for and plenty of eye catching designs and stand-out colours too! This season sees two gorgeous new collections from Koochi, and the range includes car seats and pushchairs to suit from birth upwards. Bali is a mint green and pink dream and Havana is a turquoise & teal hued design with plenty of graphic triangles and ombre colour fading going on. There is the three wheeled Pushmatic, coming fully equipped with a fleece lined footmuff, head hugger, chest pads, cup holder and changing bag. Add a lie flat from-birth recline, and easy umbrella fold and you’re good to go, and it doesn’t take up your whole boot! It’s ideal for us now that Arlo doesn’t have the slightest interest in being parent facing, and looks like it would also fit Athena too as she sometimes hops in the buggy for naps. Also for £180 it is a complete bargain! The Bali collection has three pushchairs in the range, the Pushmatic plus two four-wheel strollers, Speedstar and Sneaker. Both collections have two car seats too, the Kickstart which is a group 1 car seat, so ideal to take your child up to around 4 years of age, and the Motohead which is a group 1-2-3 car seat, which should take you up till your child doesn’t require a seat as it turns into a high backed booster seat once the hardness and padding as been outgrown! 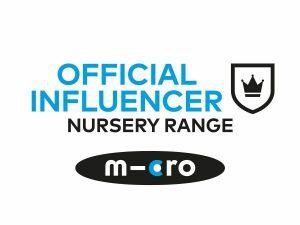 Koochi is available in top baby stores all over the UK and also online at Koochi.co.uk, where you can view the full range including the Brooklyn travel system. I wasn’t asked to write about the new collections, but when I was sent the press release I thought it was worth sharing, lots of style for not so much dosh, love it! They are some funky designs. We already have 3 pushchairs though so I’m not allowed any more!! Pretty snazzy designs! I prefer something I bit more neutral but they do look super cosy though. I love these car seats and pushchairs. They are so cute and look really stylish. I love that they have a fleece foot muff and the bag is great too. This is my type of thing. I love the colour of these. I know that isn’t the most important thing when choosing a buggy, but I love that they are so stylish.